The Sacramento County Sheriff's Department have arrested a suspect in the murder of 28-year old Janet Meija today. 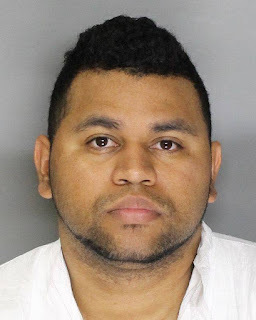 The suspect, Teris Vinson, 25, of Sacramento was already in custody at the Sacramento County Jail on unrelated weapons charges when the arrest was made. In the late evening hours of April 11, 2017, Mejia was reported missing by her roommate who reported last seeing her around 9 a.m. that morning, when Mejia left her residence in the 7200 block of Pepperwood Knoll Lane in the north area of Sacramento County. Detectives were initially told that Mejia had a doctor’s appointment in Stockton that day and never arrived. As the investigation continued, detectives learned that Mejia left her family’s residence in Stockton during the morning hours of Monday, April 10. She was driving back to Sacramento, and was scheduled to work at 4 p.m. at Nordstrom’s in Roseville but never showed up for work. In the afternoon hours of April 12, 2017, deputies located Mejia’s vehicle abandoned in the Arden-Arcade area. Family and friends said Mejia’s disappearance was out of the ordinary for her as she was usually in constant contact with her family. A little before 7 p.m. on April 13, 2017, homicide investigators located an unidentified deceased female just off the roadway in the area of Watt Avenue and Dyer Lane in Placer County. Detectives processed the scene. The Sacramento County Coroner’s Office conducted an autopsy, and positively identified the victim as Janet Mejia. Preliminary findings of the autopsy showed Mejia suffered from a gunshot wound and was a victim of homicide. Vinson is in custody and is ineligible for bail. He is scheduled for arraignment on the murder charge in Sacramento Superior Court on April 19, 2017.